Note: Photos taken using white light lamps and videos in conditions of natural light. Excellent Alpine Fluorite composed by a bunch of small crystals of Fluorite with a nice pink color nicely settled on a matrix of Quartz crystals. Aesthetic mineral specimen coming from a recent find in the French Alps. In excellent condition. No damage. Watch video. 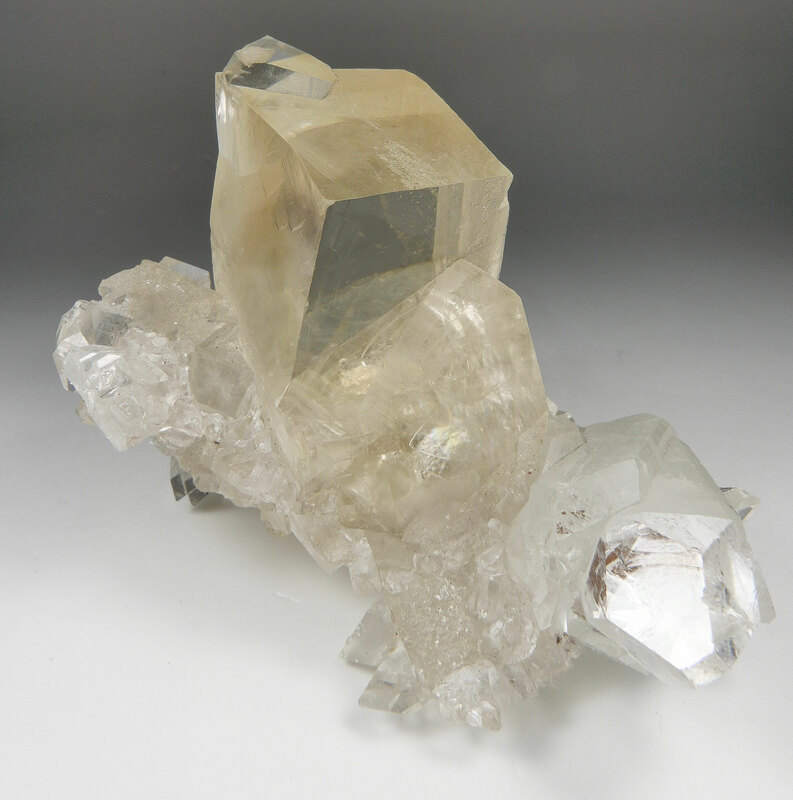 A fine Swiss smoky Quartz, variety Gwindel. With very good transparency, glossy smoky color and highly lustrous faces. 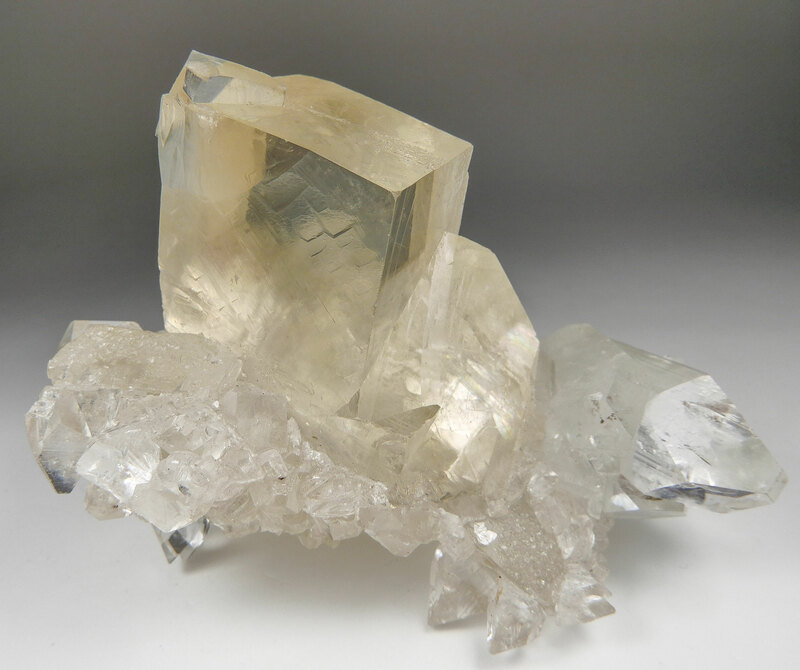 It is accompanied by some well crystallized prysmatic Quartzs located at the base of the front face which enhance the beauty of this Alpine Gwindel. It is in very good condition. One of the faces shows a look like frosted, but it is not damaged. The left twist is well visible when looking the gwindel from the top. Watch video. 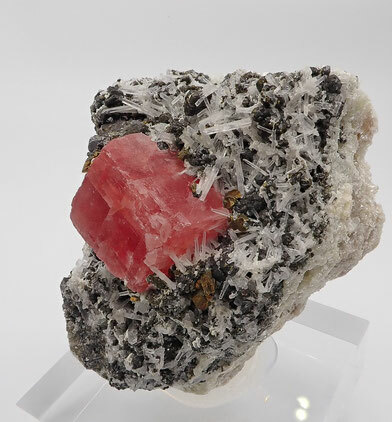 AD01 - Red Beryl. Wah Wah Mountains, Beaver County, Utah, USA. 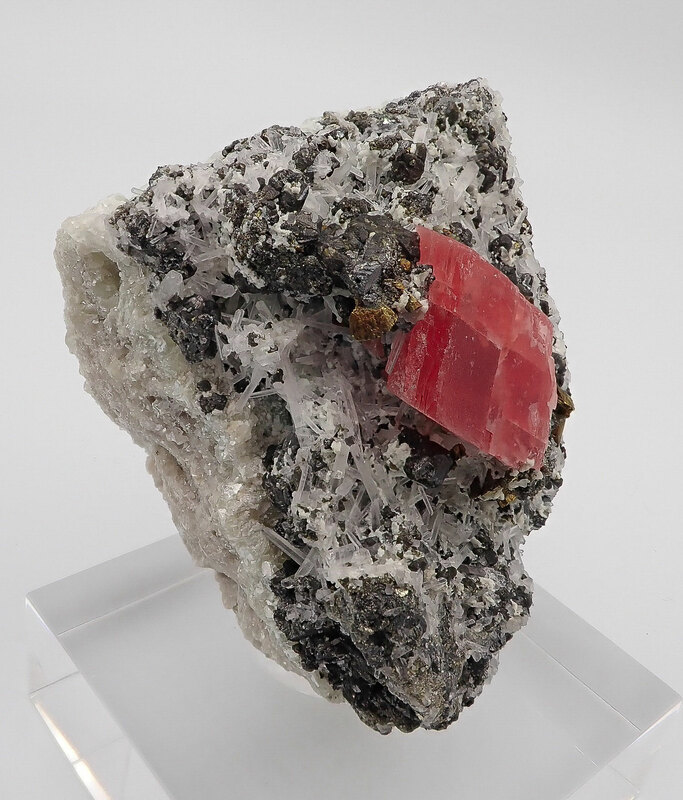 Very well formed prysmatic crystals of red Beryl aesthetically settled on a matrix of Rhyolite. Excellent red color and great contrast on the white matrix. A classic from USA. In excellent condition. A very fine specimen. No damage. Watch video. AE27 - Gwindel Quartz. Galmihorn, Bächi Valley (Reckingen Valley), Reckingen, Grafschaft, Wallis (Valais), Switzerland. Attractive Gwindel Quartz coming from Galmihorn, Swiss Alps. Excellent transparency, highly lustrous faces, vivid and glossy smoky color.... an Alpine jewel. In excellent condition. The left twist is well visible when looking the gwindel from the top. Excellent Gwindel Quartz from Switzerland. No damage. Watch video. 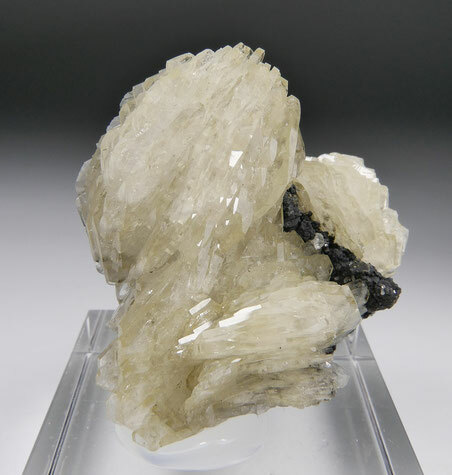 AD32 - Calcite with Apophyllite. Jalgaon, Maharashtra, India. 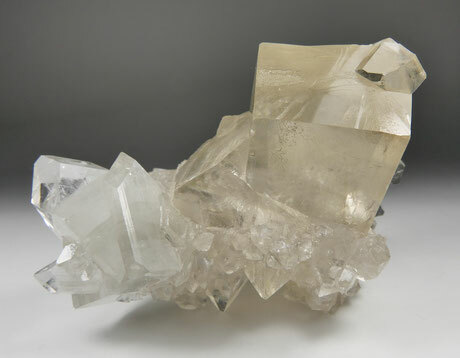 Aerial group of completelly transparent crystals of Calcite settled on a matrix of Apophyllite. Floater specimen that can be displayed from different sides. In excellent condition as seen. From the Deccan basalt traps. 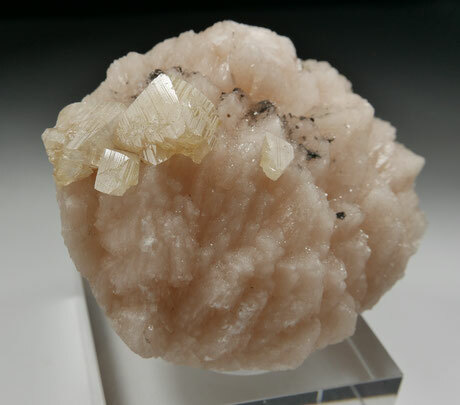 Excellent Calcite from India. Watch video. 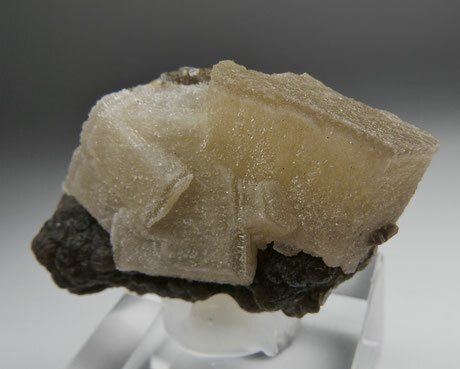 AE25 - Powellite on Heulandite. Jalgaon, Maharashtra, India. Group of Powellite crystals with very well defined faces and edges disposed on a matrix of pink Heulandite. 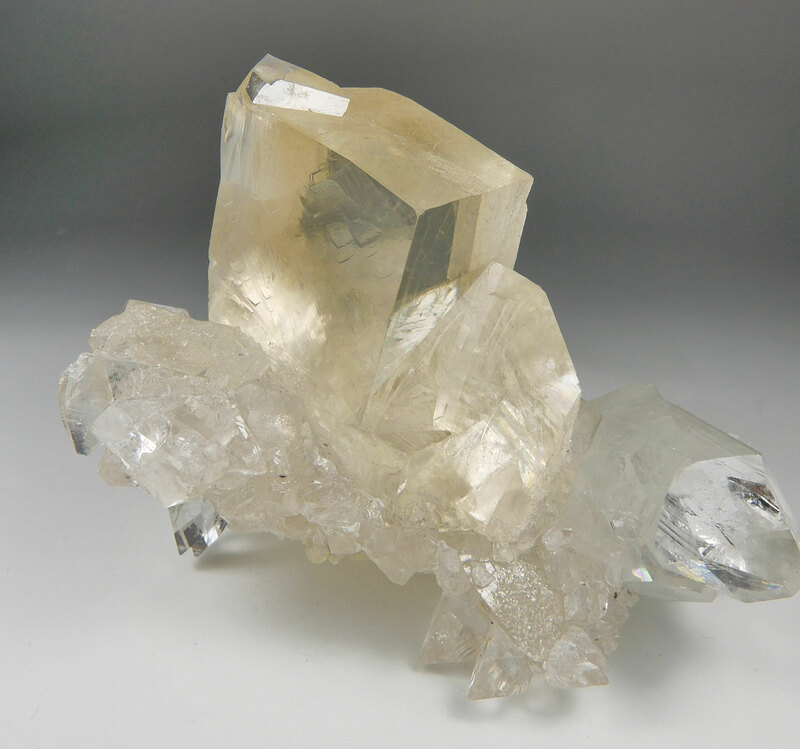 Lustrous crystals with nice yellow color. The specimen is overall in very good condition. Only one crystal of Powellite has a minor damage on its lower side but it does not detract from the quality of the piece. Watch video. AD04 - Rhodochrosite with Quartz, Tetrahedrite and Chalcopyrite. Sweet Home mine, Alma, Park County, Colorado, USA. Great mineral specimen formed by a very sharp rhombohedral crystal of Rhodochrosite measuring 2 cm x 1.5 cm. It is settled on a 7 cm x 5 cm matrix coated by Quartz, Tetrahedrite and Chalcopyrite. 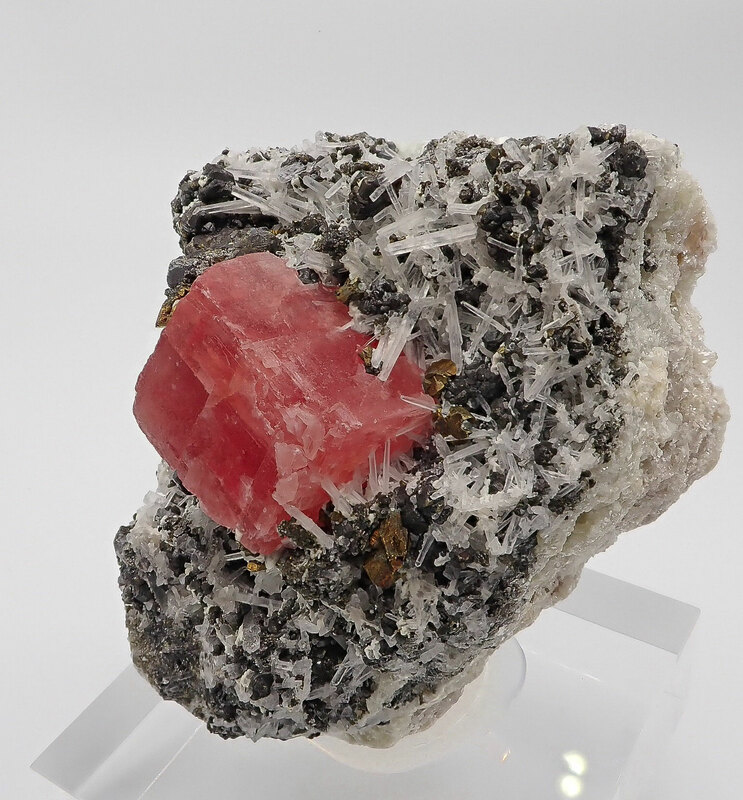 The Rhodochrosite crystal is in excellent condition, no damage. A high quality classic mineral coming from the world famous Sweet Home mine. One of the most sought-after classic minerals by the collectors. Watch video. 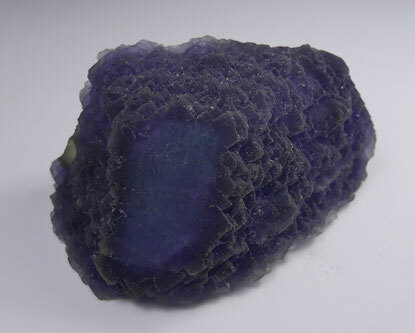 AD08 - Fluorite on Albite. Glacier d´Árgentiere, Mont-Blanc, Chamonix, Haute-Savoie, Rhone-Alps, France. Aerial crystal of red-pink Fluorite on matrix coming from Alps. 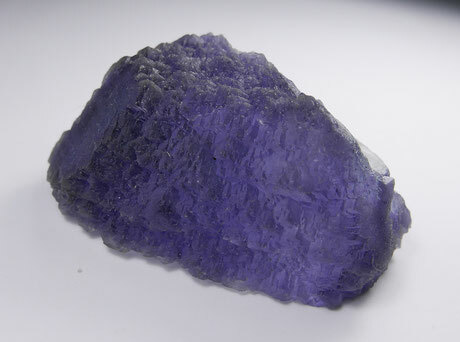 The Fluorite crystal measures 3 cm x 2.5 cm ans it is settled on a matrix of white Albite. 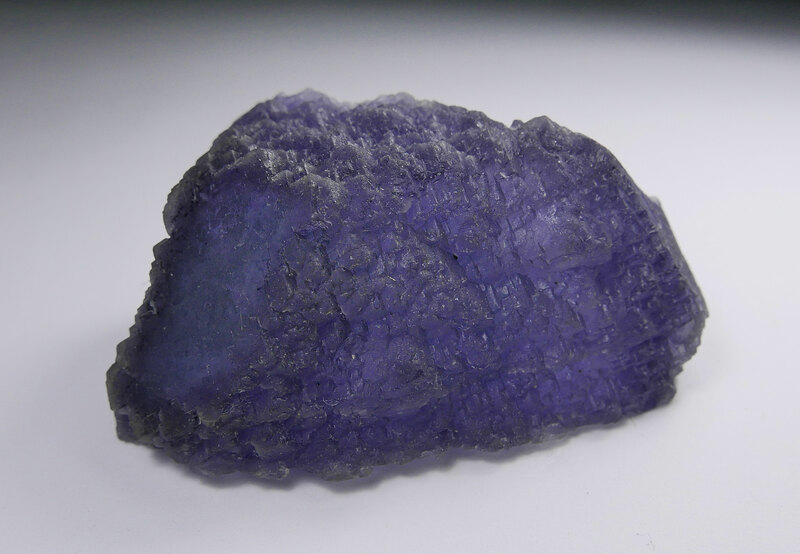 Translucent crystal with very nice color. No damage. 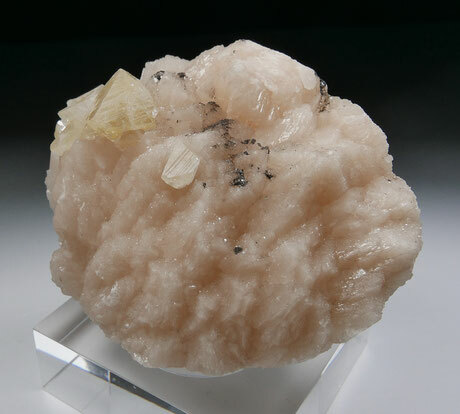 Stunning Alpine mineral suitable for demanding collectors. Watch video. Specimen size: 5 cm x 4 cm. AD09- Gwindel smoky Quartz. Tiefenstock, Göscheneralp, Coschenen Valley, Uri, Switzerland. Very fine Swiss Quartz, variety Gwindel. 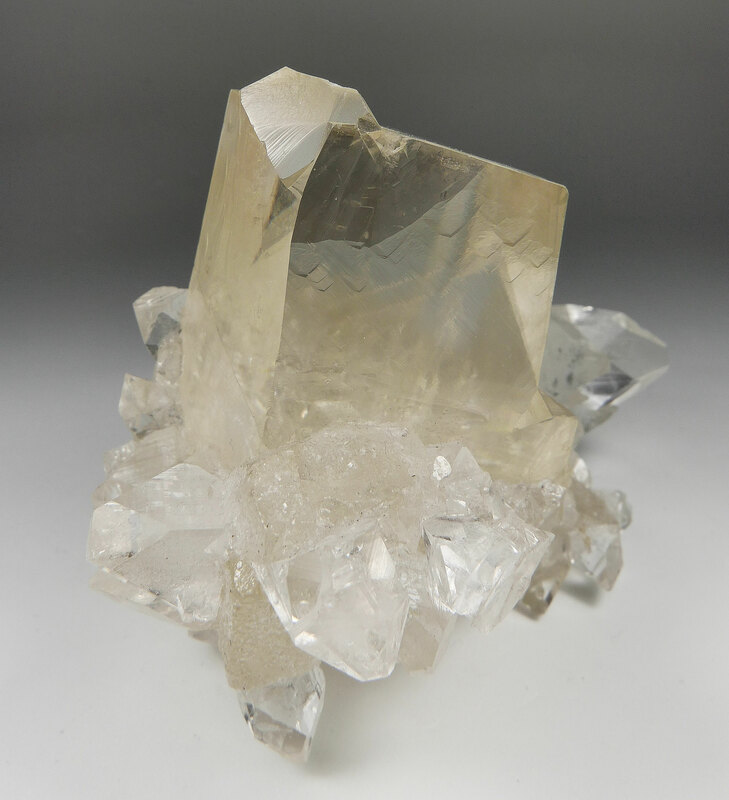 Sharp transparent crystal of smokey Quartz with an excellent color and brightness. It is complete all around showing a well developed Gwindel habit with a parallel growth to the c-axis and along the a-axis, slightly twisted. It can be displayed very well from either side. In excellent condition. Watch video. 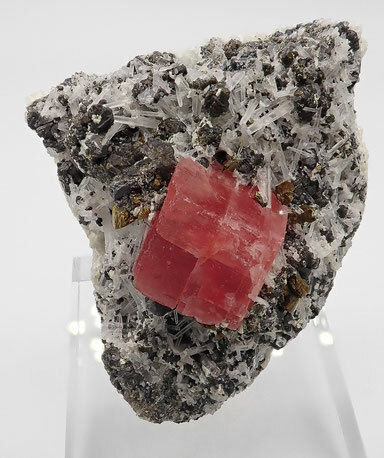 AD13- Cuprite. Rubtsovskoe Deposit, Rudnyi Altai, Altaiskii Krai, Western Siberia Region, Russia. 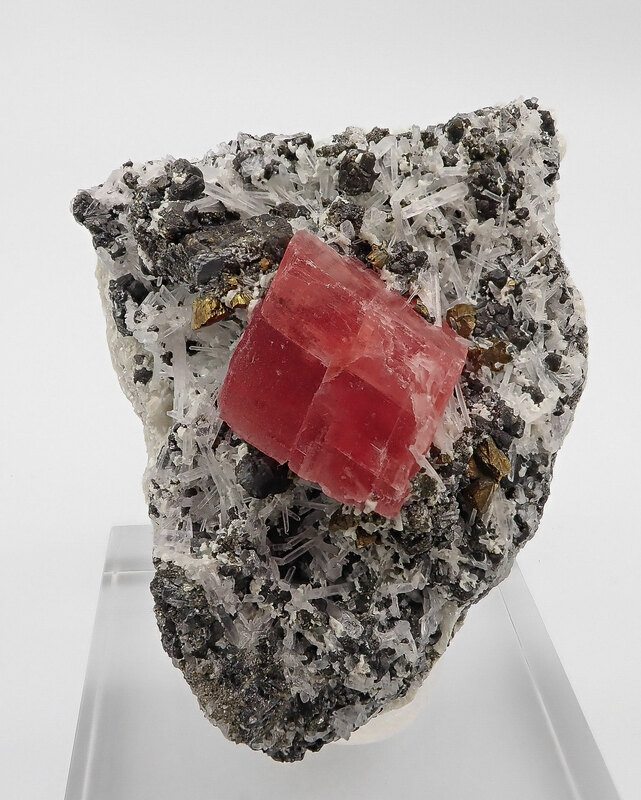 Stacked growth of lustrous crystals of Cuprite composing an aesthetic mineral specimen. Very well formed Cuprite octahedral crystals with very well defined faces and edges. The piece can be very well displayed from diferent sides. In very good condition. Watch video. AD15- Aquamarine with Schorl and Feldspar. Erongo Mountains, Erongo, Namibia. Great combination specimen from Erongo. It is formed by an hexagonal crystal of Beryl variety Aquamarine accompanied by well formed crystals of Schorl and Feldspar. Very good mineral specimen with an excellent aesthetic. The Aquamarine crystal is transparent with a nice color. In very good condition as seen. Watch video. Specimen size: 4.5 cm x 4 cm. 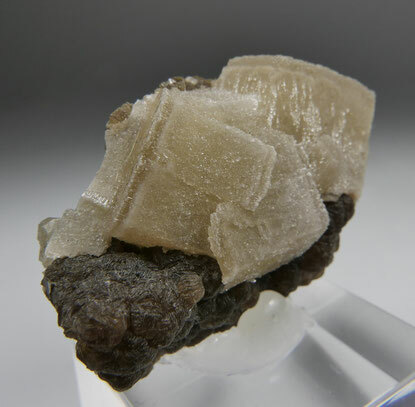 Nice mineral specimen formed by aggregates of thin tabular crystals of Baryte. The crystals are translucent and very bright composing a fine specimen from a very recent find from Morocco. Watch video. Specimen size: 5 cm x 4.5 cm. 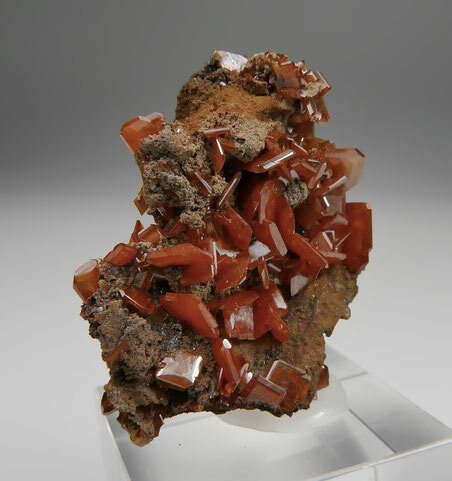 Very good Wulfenite specimen coming from a new find in China. 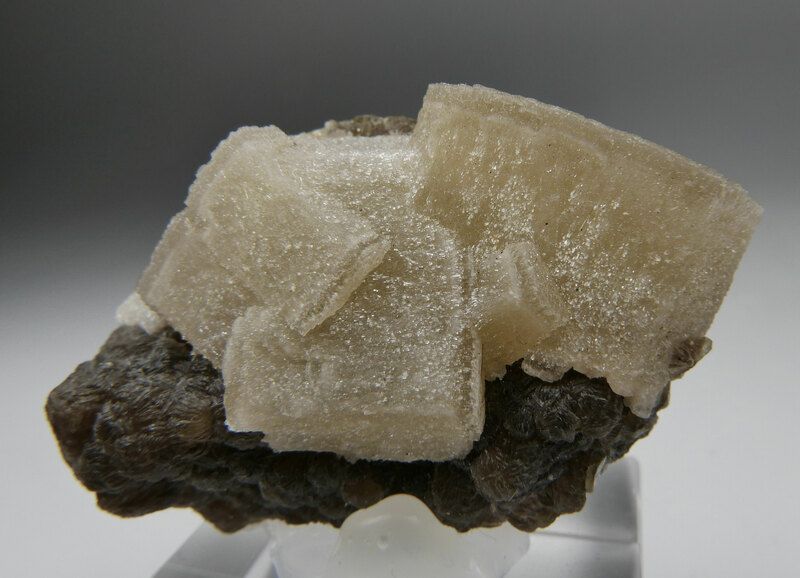 It is formed by a group of thin platy tabular crystals scattered over the front of a Gossan matrix. The crystals have a deep orange color with very high luster and great contrast to the matrix. 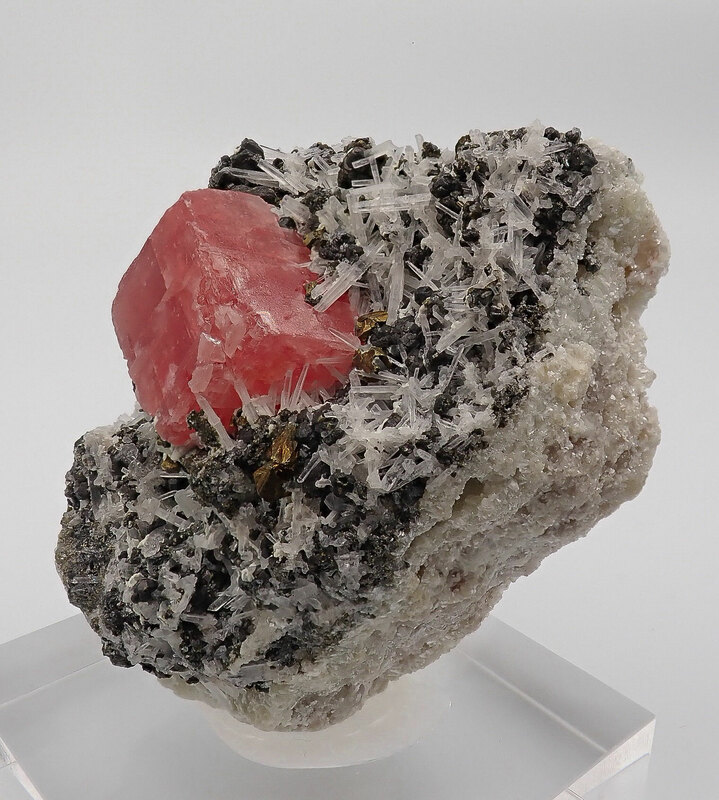 These new Chinese specimens remember the classic Wulfenites from the famous Red Cloud mine in USA. In excellent condition. Watch video. 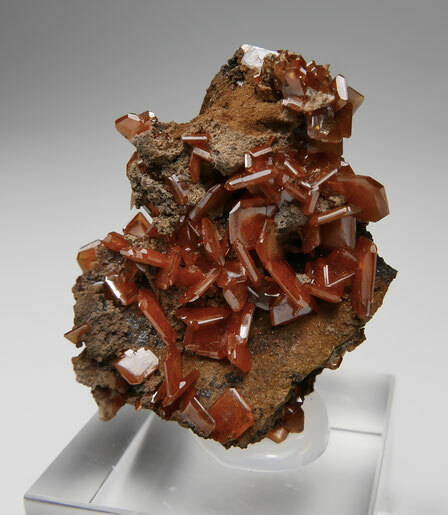 Wulfenite specimen coming from a new find in China. 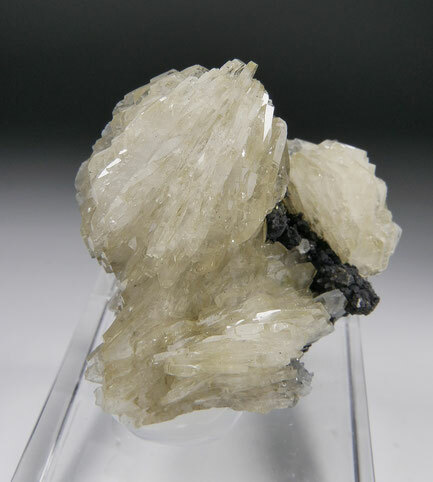 It is formed by a group of thin platy tabular crystals scattered over the front of a Gossan matrix. 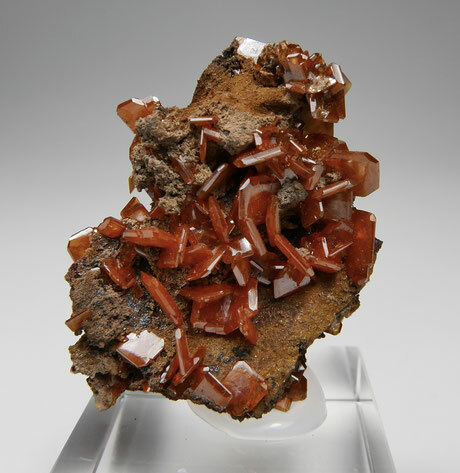 The lustrous crystals have a deep orange color. These new Chinese specimens remember the classic Wulfenites from the famous Red Cloud mine in USA. It is in very good condition, just a couple of the crystals show minor damage as seen. Watch video. Unusual specimen from the Panasqueira mine. It comprises an aerial group of yellow Fluorapatites on a matrix of Muscovite. In excellent condition. Very good mineral specimen from Panasqueira. Watch video. AE08- Gwindel Quartz. Bieligertal, Goms, Wallis (Valais), Switzerland. 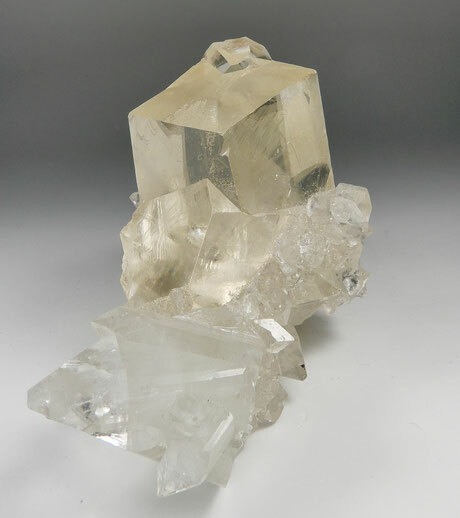 Quartz specimen, variety Gwindel, coming from a classic locality in Switzerland. It is composed by a group of light smokey Quartz crystals, one of them clearly dominant and showing a very well developed Gwindel habit with parallel growths to the c-axis and along the a-axis, clearly twisted. Great Alpine Gwindel Quartz in excellent condition. Very good size. Watch video. Alpine pink Fluorite composed by a main aerial octahedral crystal with very well defined faces and edges. Very nice color. 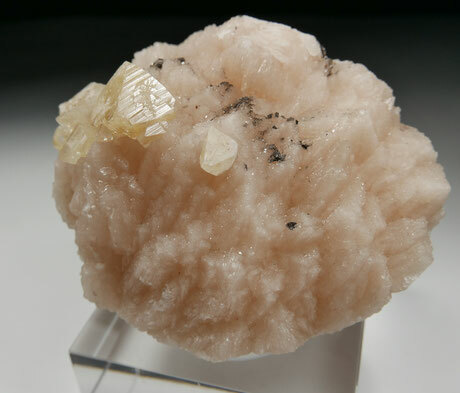 On a matrix of Albite and more crystals of pink Fluorite, some of them covered by Chlorite. Aesthetic Alpine specimen. The condition is good. Watch video. Specimen size: 4.5 cm x 2.5 cm. 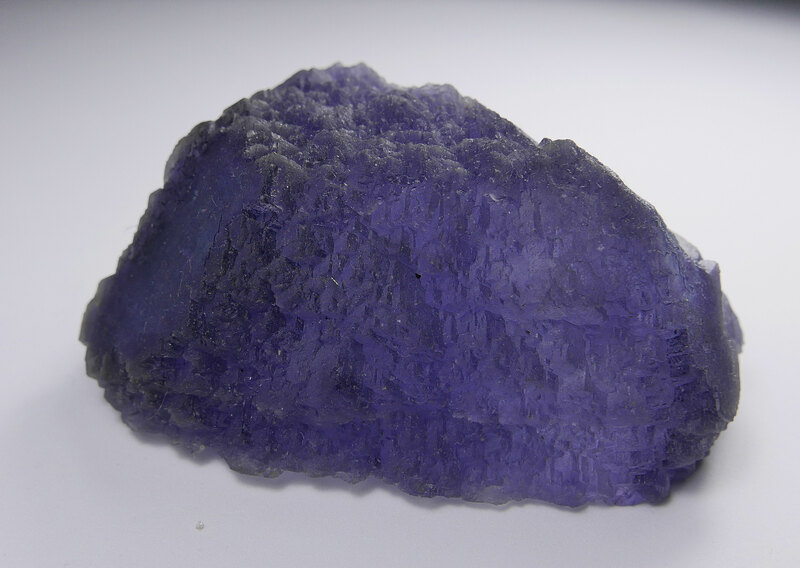 Large Fluorapatite crystal to 6.5 cm in height. Nice green color and good luster. 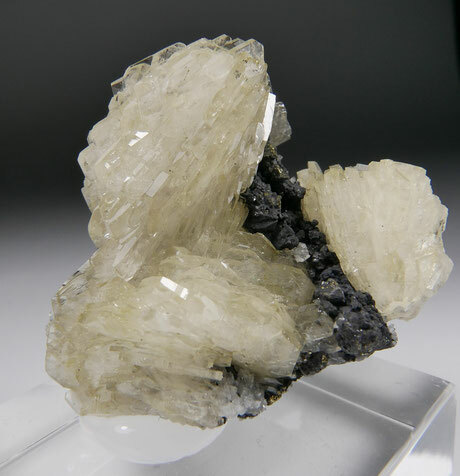 With small crystals of Siderite. The large crystal is overall in very good condition. Only minor rubbing on one edge that doesn't detract the aesthetic of this specimen. 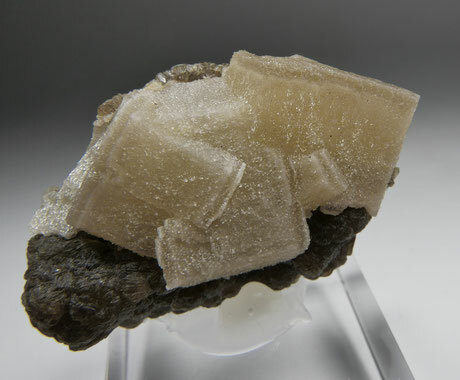 Unusual Fluorapatite crystal by its size. Watch video. Specimen size: 6.5 cm x 3.5 cm. Group of Fluorapatite prismatic crystals with a vivid green color. 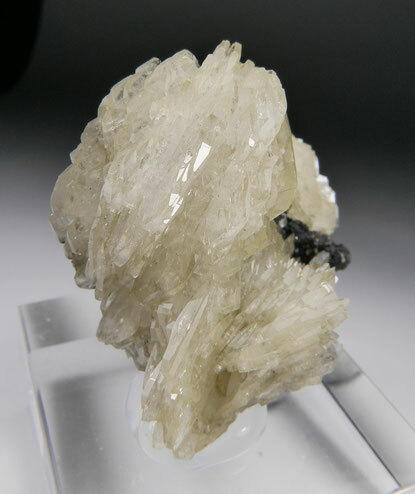 Accompanied by small Siderite crystals. 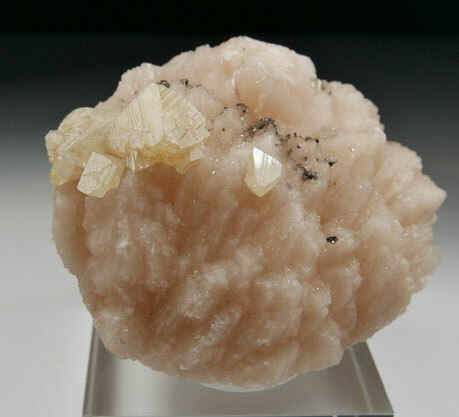 Nice and aesthetic mineral specimen. Minor damage. Watch video. Specimen size: 4 cm x 3 cm. Nice translucent crystal of Fluorite from the Panasqueira mine. Vivid color and unusual habit for Panasqueira, with small cubic stepped growths along the surface composing a beautiful specimen. Watch video.